The European Union continues to push forward with deeper integration, as that is the economic and political imperative of European big business. The EU Commission continues to promote its strategy of deepening integration. It has proposed a finance minister for the euro zone and transforming the European Stability Mechanism, which was established in September 2012 as an inter-governmental body for members of the euro zone, into the European Monetary Fund. One of its chief roles would be to ensure an “orderly sovereign debt restructuring” in the event of unsustainable debt levels. It would be a kind of embryonic treasury for the euro zone, having even greater control and enforcement of member-states and their budgets and fiscal policies. Germany favours this strategy and outcome, as it would further strengthen German monopoly control. The Irish government endorsed this proposal on the 6th of March this year, along with Denmark, Estonia, Finland, Latvia, Lithuania, the Netherlands, and Sweden. As well as endorsing an EMF the ministers said they were committed to the process of completing the banking union. This has been the usual method by which the member-states appear to be driving the process when in fact the EU Commission does the driving, at the behest of German monopoly interests. Every crisis presents an opportunity to push strategic goals and interests. The EMF would act like the International Monetary Fund, one of the components of the Troika that took charge when the EU forced the Irish people to take on 42 per cent of total European banking debt. 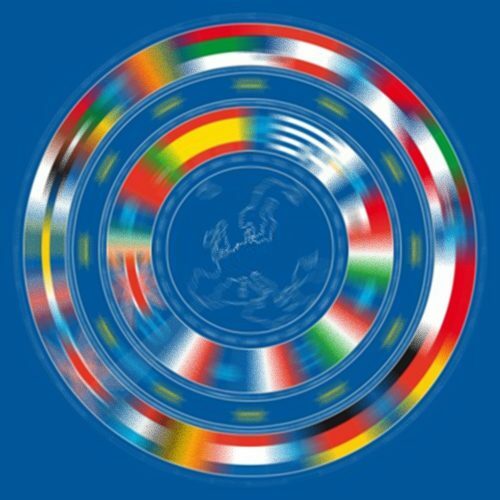 The new EMU would be for imposing greater market “discipline” on member-states and making the EU more “competitive,” that is, able to compete economically, and also geopolitically, with other regions in the world. If we think back to the discussions about debt relief for crisis-hit countries, we may remember how the EU Commission was often even more unyielding than the IMF. The EU has pulverised the Greek people— a far cry from the EU of “solidarity” so often trumpeted by the pro-EU pro-integration lobby here in Ireland. This is part of the working out of the Maastricht Treaty. Workers know from experience that when their boss tells them they must be more competitive this means that they lose benefits and overtime payments etc., must work harder, and accept a reduction in the work force. If we apply this at the EU level it can only mean one thing: the further hollowing out of the much-lauded “European social model” that our trade union leaders, social democrats and other pro-integrationists have argued for, to stay in the EU to protect this “model.” The prison becomes the slaughterhouse. The former Greek minister of finance Yannis Varoufakis has said that in their first meeting the German minister, Wolfgang Schäuble, stated that “the ‘overgenerous’ European social model was no longer sustainable and had to be ditched” in order to make Europe “competitive.” So the much-touted “social market economy” has become a central target of the hard-line integrationists. The non-class understanding of EU integration, of the nature of the European Union itself and what it stands for and whose interests it serves, leads to these dangerous illusions about what deepening European integration is. The growing opposition to the European Union, as manifested by the rise of the right in EU member-states, is a product of this continuing integration. With elements of the “left” supporting integration, they have put themselves on the same side as the dominant economic forces, which wish to step up the attacks on workers’ rights and living standards, leaving the working class leaderless and falling prey to the right. We know from long experience that the right has no interest in protecting or defending workers’ rights but is in fact a tool of monopoly capitalism, used to sow confusion and division, thereby allowing the monopolies to divide and rule workers, pitching them against each other. What working people are demanding is greater control and accountability from institutions that they have been told are elected to represent them. But when a new government is elected they get the same policies; they get multiple parties but a single transferable manifesto throughout the whole of the EU. National democracy and sovereignty are not optional but are the essential tools required if we are to defend the gains already won through struggle by the working class. The EU and its institutions, treaties and strategy are for removing the capacity of workers at the national level to effect change at home or even to defend the gains they have already made. Unless the left champions democracy and sovereignty it surrenders the vital terrain of struggle to the right. National democracy and sovereignty are are key to opening up a path for real social change.